The ribbed body is reserved with two phoenix roundels alternating with two dragon roundels. The shoulder is painted with a band of cranes in flight amongst cloud scrolls and the base with precious objects amongst cloud scrolls. 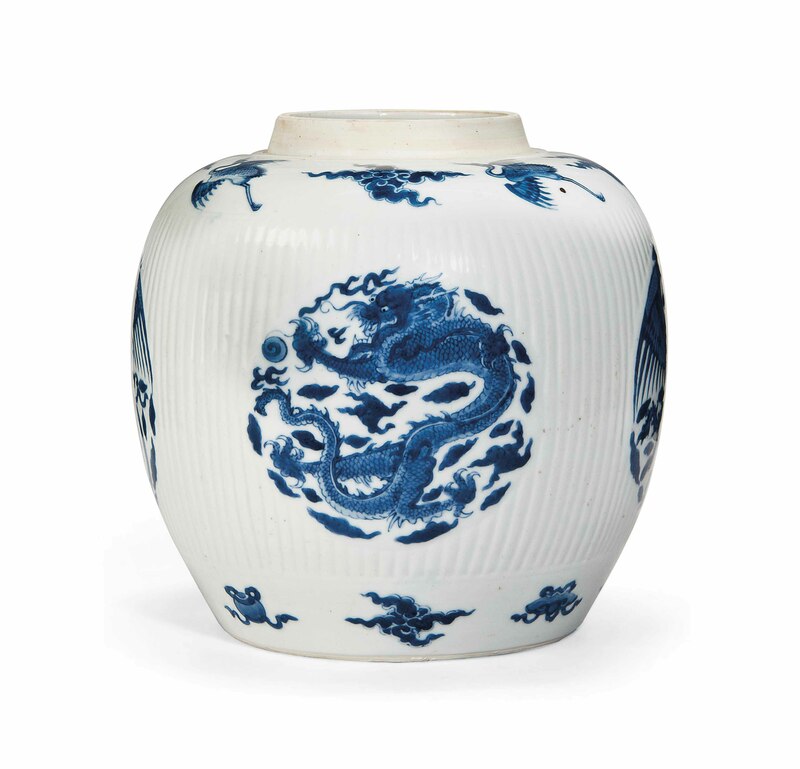 The base has an apocryphal Chenghua underglaze blue six-character mark within a double circle.